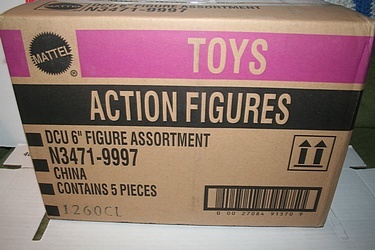 In November of 2008, wave 5 of the popular DC Universe Classics line was released, and was only available at WalMart. This wave was sort of notorious as being the wave that wasn't - impossible for many collectors and kids to find on shelves and with subsequent eBay prices to match. Some WalMarts simply never carried this wave - in the same way that they get few if any store exclusives. There seems to be a threshold of store size, and if your store is under that level, tough beans for you. But, what have we here? 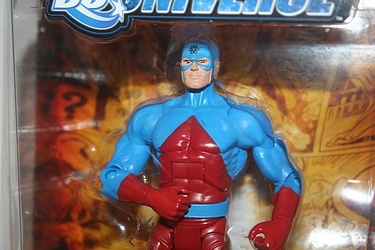 It's The Atom, from the long lost wave 5!